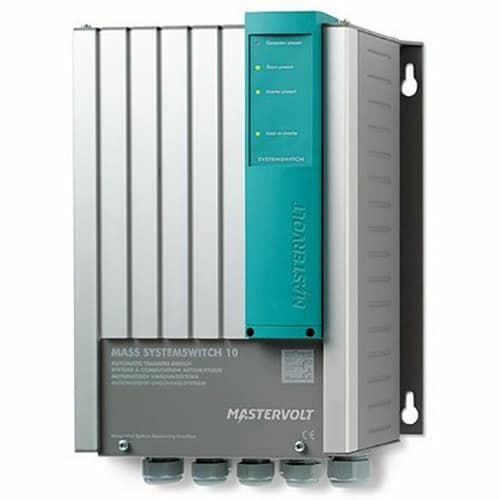 Achieving this is simple by using this lightweight (4.4 kg) Mass Systemswitch (6 kW) which functions as junction in your 230 V on board system and has three outputs. The Mass Systemswitch offers the safety you need. Even more comfort is obtained by connecting it to one of four advanced Mastervolt remote panels with extended monitoring and control possibilities. The simple and effective solution!